My post on the thought causes and symptoms of diseases was by far the most popular, and numerous readers posted questions and comments! It was great to hear from readers around the world, all with the intention to figure out what thoughts of theirs have lead to what illnesses. But i noticed a problem. The majority of people wanted me to tell them the thoughts they must have thought that lead to their bodies breaking down. This is not possible, because everyone’s emotional response to the same thought is different. For example; Frustration about a parent feels very different to me, as it does to my best friend, as it does to the next person, and the next. In other words ONLY YOU KNOW YOUR EMOTIONS intimately, and so only YOU CAN FIGURE OUT YOUR EMOTIONAL STANCE on a subject (money, health, relationships, politics, religion, etc). So what to do? Instead of trying to dig up your old thought patterns from years ago that resulted in the back pain [insert your current physical issue here], start to change your emotions right now, by choosing better feeling thoughts. As soon as you feel better (by thinking better thoughts), your body begins to heal and repair itself. Your immune system strengthens. Your cells begin to regenerate. I’ve explained over and over that it’s not a good idea to figure out what thoughts lead to what illnesses, you will not succeed in healing if you take this approach. It is far easier and more fun to TURN YOUR ATTENTION TO BETTER FEELING THOUGHTS, thoughts that feel good RIGHT NOW! Find things to appreciate around you. If you spend the majority of your day in a happy mood, your body cannot but feel better! I know it sounds to simplistic. It sounded to too good to be true when i first came across this Abraham teaching. What makes it even more amazing is that every area of your life falls into place, as your happiness increases! The Law of Attraction makes it so! What do you have to lose? Nothing! What do you have to gain? Health, happiness, abundance, wealth, fulfilling relationships, the list is endless. What are the causal symptms of prolonged acidity and what are the pisitive affirmations for it ? 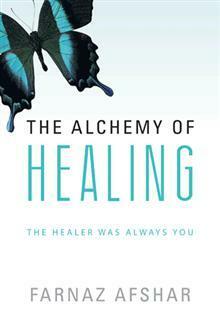 hello, as i’ve explained here and in my book The Alchemy of Healing, looking for affirmations to heal symptoms is not effective.